It’s a fact, a lot of us spend at least 10 minutes of the day stuck in traffic. With so much time being spent on the road, we use this time as a downtime to think of ways to improve our future, things that need to get done, and essentially, how nice it would be to not have to be stuck in traffic going to and from work: while working for someone else. Wouldn’t it be great to have enough flexibility to make your own work hours? Without realizing it, because you’re mad about traffic and trying to rush to your workplace, you are actually trying to speed through your business space. You read that right, YOUR OWN BUSINESS SPACE. How you may ask? Do you see those 18 wheelers you *sometimes* try to cut off? Those big trucks that you get nervous driving by? Stop driving behind them and start your business in them. Not literally in the moving shipping containers, we don’t want any fast and the furious type of stunts, but you can have your place of business in a shipping container! How crazy is that?!? The word your mind is trying to process is innovative. Box Office Warehouse Suites offers you the opportunity to start your own business without the hassle. Lease Spaces are move-in ready, even offering a grass-covered rooftop lounge area. So, about this shipping container business space; Box Office Warehouse Suites is a business park located in Fort Worth, Texas, South of the Alliance Center Area, made from over 100 recycled shipping containers. Don’t raise your eyebrow at me just yet, hear me out. This shipping container business park is the answer to all of your business problems, and it won’t cost you and arm or even a leg. By using recycled shipping containers and turning them into building, warehouse, retail and office space, Box Office Warehouse Suites was able to reduce labor and construction time; and able to reduce material expenses. Those savings are being passed on to you. Once windows, doors, wiring and plumbing are added to a shipping container, you have a fully functional and one of a kind place of business. Add some interior design and this space is now customized to your taste, look and business charm. The possibilities truly are endless! 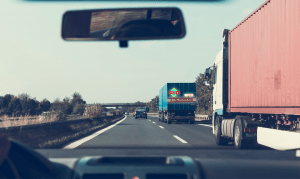 Next time you are “stuck” behind an 18-wheeler, really take the time to think of your business set up and how easy Box Office Warehouse Suites can make your business visions a reality. Make the right move you and your business deserve and grow your business at this location today.